Now she can prove she's no One-Hit-Wonder. Pop Rock Star Yeng Constantino shared her experience as an artist yesterday promoting her first digital concert via OneMusicPH with the bloggers. She recalled how she once heard from a friend that she will not stay long in showbiz industry after winning the Pinoy Dream Academy. 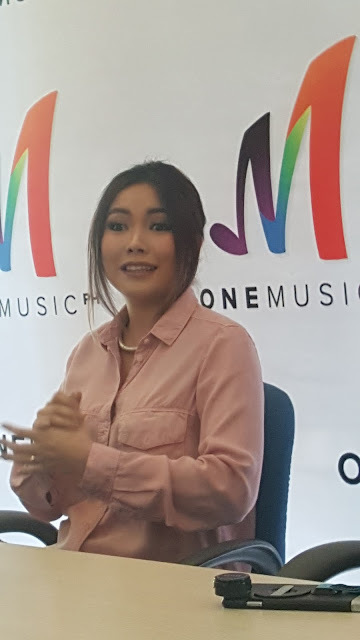 We've known Yeng after the hits "Hawak Kamay", her own version of "Ikaw", Himig Handog P-Pop's "Babay", the popular "Chinito" and more hits that elevated her status now as an OPM icon in the Philippine music industry. A decade after her victory at PDA, Yeng is grateful that she is still a relevant personality earning her own genre in the Philippine music industry. She wants to celebrate her ten years with the fans thru a FREE and first in the Philippines digital concert via OneMusicPH. Simply create an account at www.onemusic.ph and enjoy her live concert on June 18. Those who would prefer to watch it live will have to pay Php200 for the show's entrance at the studio.